There was once someone, somewhere who thought stories of young women following their dreams while trying to find love, navigate relationships and reach goals in life are stories limited to female readers only. And we ended up with a genre colloquially called ‘chick-lit’. More so than it being a genre, my disappointment is with its image of being fluffy, colourful and women-only reading. While one resorts to using these terms when searching for new titles, its time we discussed merits of these texts and layers that go unnoticed because I truly feel it is upon readers to give a text as much value as it creates in their life. 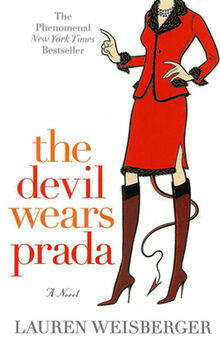 One such set of books whose layers added value in my teenage and now somewhat-adult life, is the Devil Wears Prada series by Lauren Weisberger. I discovered the series through Meryl Streep an Anne Hathaway-starrer movie version of Devil Wears Prada. My mother had recently watched it on a flight and couldn’t stop talking about how wonderful it was. I was also getting extremely interested in journalism and writing at that point so mom’s movie recommendation was perfect. Needless to say, I loved the movie and watched it many times over bowls of popcorn and packs of snacks. It was a year or so later that when I stumbled upon the book and realized it came first and was turned into a movie. I absolutely fell in love with the world of Andy, Emily and Miranda Priestly once more and that too more intensely because I could read it over and over again with my own imaginations. The reason Weisberger’s world of Runway magazine and the story of Andrea Sachs has stayed with me in my growing years is because of the kind of life of a strong girl it portrayed. Like Andrea I wanted to write for a big audience too, I wanted my voice to be heard on important issues. And as I realize now, like Andy, I was also taken on a path of my own that led to good things regardless. Being an avid reader at a young age, I could sense there was something fresh and powerful about a young girl’s life depicted by Weisberger that was missing from what I had read before. Icing on the cake was the story being set in New York city. I had visited Manhattan on trips to Long Island during summer break. I had already been imagining myself in a big city, going to work clacking my heels and carrying breakfast on the go. There came Andy, who struggled, stumbled and suffered but figured out the New York routes and transportation. It was like a peek into my envisioned future. While I don’t live in Manhattan now, and quickly realized fashion would be the last thing I’d understand, I remember lines from the series while waiting for the Skytrain in Vancouver. I thought about Andy’s first weeks and smiled as I started a communications job for UBC. Such narratives of young women following their dreams and laughing about the struggles they face in the process are certainly something all women should read. But why only women? It is also a window of opportunity for others to take a peek into their world and hopefully understand them better. 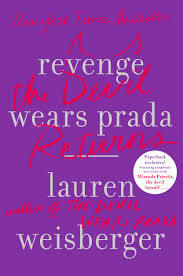 I sign off now, retreating to my fresh copy of Devil Wears Prada that I am savouring for yet another summer. Next postA stitch in time..